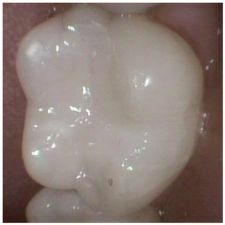 Tooth colored fillings are also referred to as composites, because they are composed of a complex composite of plastic and zirconia/silica. Composites were introduced in the 1960s, and have undergone continual improvements in durability, color stability, material handling qualities, and esthetics. 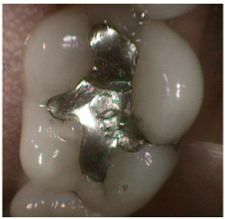 Tooth colored fillings are actually bonded to teeth compared to silver / amalgam fillings, which are not. Fillings are considered one type of tooth restoration. Other restorations include inlays, onlay, veneers and crowns. Tooth colored filling material comes in a great number of colors (shades), and are matched to your individual tooth color. Typically, a different type of material is used for front and back teeth. The materials used for front teeth have a high shine; whereas, the materials for back teeth are designed for strength both look great! It’s nice that if you have a filling it can be virtually undetectable. A new filling should feel natural, like your other teeth. After the anesthesia has worn away and you can feel your teeth and bite again, you should not notice anything particularly different. It should be smooth and comfortable. You can eat on tooth colored fillings right away (as soon as anesthesia is gone) compared to silver / amalgam fillings, which you cannot. If you detect a noticeable sensation when biting or chewing, this usually means the bite is too tall. Unlike silver / amalgam filling material that is softer, and will wear away or chip, the bite on tooth colored filling material will not improve with time. If the bite remains too tall a tooth can also become temperature sensitive. Please don’t hesitate to call if your filling requires an adjustment.